Racism alive and well in the NFL? Former University of Missouri football player Michael Sam made waves with his landmark announcement that he was gay prior to the NFL Combine, the annual testing of college players aspiring to be drafted in the NFL. Sam said he wanted to give NFL teams full disclosure. Most scouts believe that he will be drafted and make a team. It would make him the first openly gay football player in the National Football League. The announcement was met with much support from current NFL players, celebrities, and even First Lady Michelle Obama. One would think that this outpouring of acceptance for Sam would mean that the NFL is a progressive league. Think again. A recent investigation into claims of alleged bullying on the part of Miami Dolphins offensive lineman Richie Incognito of fellow teammate Jonathan Martin led to the discovery that Incognito and other teammates harassed and made racial slurs geared toward a trainer of Japanese descent. Incognito, a white player, and two African American players made fun of the trainer, according to a detailed report of the Dolphins organization. According to interviews, which were summarized in the report, Incognito called the trainer a “Jap” and “Chinaman.” On the anniversary of Pearl Harbor, Incognito and the other Dolphins players donned headbands with the Japanese rising sun emblem and jokingly threatened to hurt the assistant trainer in retaliation for the Pearl Harbor attack. The players thought that this was OK because they meant it as a joke and the trainer acknowledged it as a joke. The insensitive jokes about his race occurred daily. Although others saw it happening, no one did anything about it to correct this behavior. If you were to ask me, this seems like one of the most racist things you can do. The trainer likely went along with their jokes for the simple fact that he was not in a position of power to do anything about it. When interviewed during the investigation process, the unnamed assistant trainer did not feel comfortable answering questions because he felt like he would lose the trust of his players. And, of course, he’s dealing with men over 300 pounds that hit other 300-pound men for a living. Speaking out about this would likely leave him in danger if he saw these guys again. Unfortunately, this case of racial insensitivity was not just an isolated incident. Earlier this year, New England Patriots’ tight end Rob Gronkowski made derogatory statements about an Asian fan at a Patriots fan party. Gronkowski, who is a good football player when he’s not injured, tried to make a joke with the crowd as a Patriots fan wearing his jersey danced at the fan gathering. Alcohol was the likely reason for the Asian fan’s dancing and carrying on, but that’s beside the point. Commenting on the fan’s dancing, Gronkowski told the crowd, “They told me he could only cook fried rice.” He was not done with the racist comments, as he referred to the guy as “Leslie Chow.” Chow is the flamboyant character played by Ken Jeong in The Hangover movies. Realizing that this was a public relations debacle that was being recorded on cell phones, a party organizer reminded the crowd that they would have to turn over the cell phone footage at the end of the night. I guess the organizers were not successful as Gronkowski’s remarks made it to the Internet. Believe it or not, attendees actually paid $87 each to attend the party and get a photo with Gronkowski. The question is whether or not we should be insulted by these insensitive remarks about Asian people. In the case of Incognito, he recently checked himself into a mental health facility for treatment after bashing the grill of his Porsche with a baseball bat. It’s safe to say that Incognito has problems. Gronkowski’s ignorant remarks likely resulted from his lack of public speaking experience and an unsuccessful attempt at crude humor. Still, it’s no excuse, especially when he is making a public appearance. While America is becoming more comfortable with diversity — shown through the support of Michael Sam — there are still pockets of people that remain stuck in their own ignorance. The latest and greatest Japanese baseball player to play in Major League Baseball is Masahiro Tanaka. The 25-year-old right-hander was signed by the New York Yankees and will make his first appearance in the major leagues at the start of the 2014 season. Sporting 24 wins and zero losses in the Japanese professional league last year, the Yankees signed Tanaka to a seven-year, $155 million contract. The deal made Tanaka one of the richest pitchers in history and he hasn’t thrown a pitch in the majors. The Yankees commitment to Tanaka conveyed what the other teams that pursued him knew — he is one of the best players to ever come out of Japan. 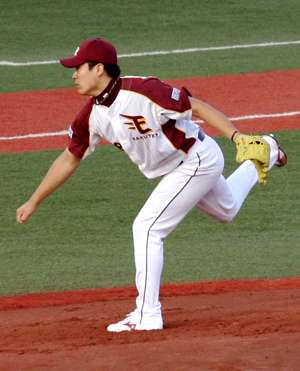 The Yankees heavily recruited Tanaka and former Yankee Hideki Matsui helped in the process to land the young pitcher. With the announcement that Derek Jeter would be retiring at the end of this season, maybe Tanaka will be one of the faces of the Yankees franchise in the years to come. 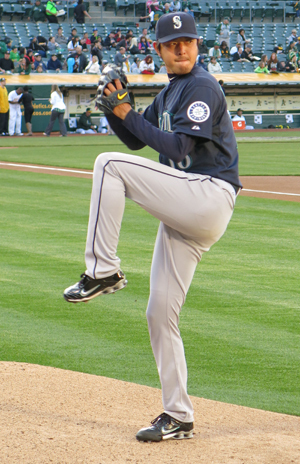 Speaking of baseball, the Mariners are in spring training, but without pitching ace Hisashi Iwakuma. Iwakuma will likely not start the season with the Mariners because of a sprained tendon in his middle finger of his throwing hand. The injury may sound small, but the injured finger would affect how he pitches. It’s a downer for the Mariners, as they have been mired with poor season after poor season. Iwakuma is the second best pitcher on the Mariners and he is coming off of his best year in his career. He made the All-Star team and was one of the finalists for the American League Cy Young Award. Hopefully, Iwakuma’s finger will heal fast as the Mariners will need him this season. UW golfer Cheng-Tsung Pan has qualified for one of golf’s most prestigious major events, the British Open. Pan, a junior, earned the spot by tying for second at a qualifying event in Thailand. Pan is No. 14 in the World Amateur Rankings and said he was in “a state of shock” and “happy” about his grand accomplishment. The British Open will be held from July 17 through July 20 in Holylake, England. Originally from Taiwan, Pan is one of the shining stars on the UW golf team. He was an All-American in 2013 and was named the No. 1 NCAA golfer last year.